The Christensen Knifeworks designed Critical folder is a bold collaboration with Kizer Cutlery. It offers an all-business wharncliffe blade made from CPM-S35VN stainless steel with a thick swedge and ample jimping. The ergonomic titanium frame lock handle is designed with a row of circular cutouts to ensure the Critical won't weight you down. 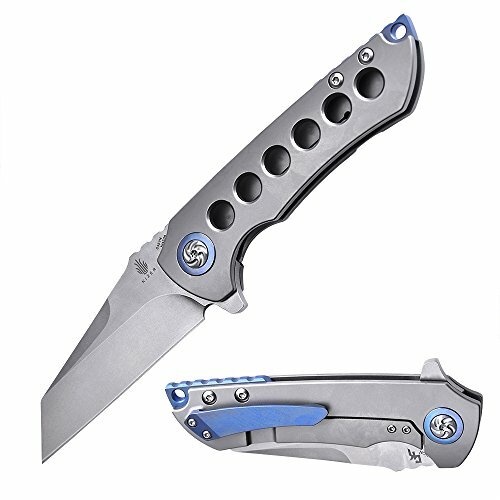 Anodized pivot collars, a blue anodized titanium backspacer, and a familiar titanium pocket clip have been added for a bit of custom flair.